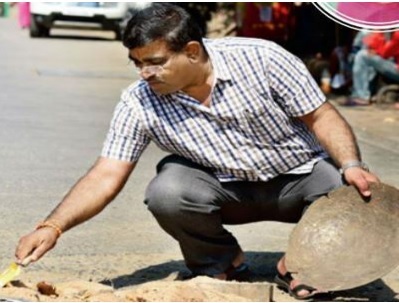 Dadarao Bilhore, a father and common man, fills every pothole on Mumbai’s road he sees, and he is constantly on the lookout for more especially those that could put at risk two-wheeler riders. Call him crazy, but he is not. Sadly, during the recent monsoon, his son Prakash died in an accident while riding as a pillion rider with a relative driving. Their two-wheeler hit a pothole left uncovered due to carelessness of civic officials and a private company.